Kurt Zouma and Marco van Ginkel ruled out. Chelsea Football Club, also known as The Blues and The Pensioners, are a professional football club based in Fulham, London. Chelsea were founded on 10 March 1905 at The Rising Sun pub (now The Butcher's Hook) after Gus Mears had previously acquired the Stamford Bridge athletics stadium with the aim of turning it into a football ground. Since there was already a team named Fulham in the borough, the name of the adjacent borough, the Metropolitan Borough of Chelsea, was settled on. After decades of being non-competitors, Chelsea returned to the domestic title fore in 2003 under new owner Roman Abramovich, who fueled an unprecedented spending spree - starting in the mid 2000s. Since the takeover, Chelsea have won 1 Champions League title, 4 Premier League titles, 4 FA Cup titles, 1 Europa League title, and 3 League Cup titles, among others. Chelsea's most prominent rivalries include local clubs Arsenal and Tottenham Hotspur, title rivals Manchester United, Liverpool and Leeds United. Chelsea play their home games at Stamford Bridge, which had been their home for over a century. Smash 'em. 5-0 at least. Is what I'd like to see against Chelsea. But knowing Mou he will probably opt for Fellaini instead of Carrick due to the physicality and tenacity of Kante and Matic. Would probably go for this, though with it being away to Chelsea I can see Mourinho picking Fellaini for Mata. Mata really should play though, we are loads better with him in the side. Lingard being an earlyish sub today makes him a shoe in for this. Hopefully Martial starts too. Will be a tight game I think, but we are better then them and can go there and look to control instead of sit deep. So we'll see. So majority of the guys on the forum feel that United will win at Chelsea, a place which hasn't been that great for us. Hope you all are right. There've been less than 40 votes. I agree with paulscholes and bosnian on the lineup, though I've had a rubbish record. I'd go with this. Rashford and Fellaini likely to feature as well. Too bad we had a match tonight, the team bus won’t be at the Bridge before HT. The game Mourinho can't afford to lose this season? For the sake of his hopefully we'll get the win. If there ever were a time for a masterclass of his, now is the time! I'm going out on a limb with my 5:0 victory prediction here. Could do with a win to really start going in the league. Been fragmented so far. Have no clue what to expect from this one. I can't really predict it. Martin Atkinson in the 6th minute of 3 minutes added time with an assist from Stuart Burt. Well overdue a win here. Split over Lingard/Rashford, but otherwise this. What sort of defensive line do Chelsea use under Conte? If it's deep, Lingard will be more use than Rashford, and the latter more likely to have an impact coming off the bench. I'm pretty sure on 9 of the 11 that will start, I think after Monday Jose will keep Rashford on the bench to make sure he has the fast, fresh attacking option to put through the middle later in the game. If he starts with Young and Fellaini rather tham Martial and Mata we are going negatrive, but it wouldn't surpise me. 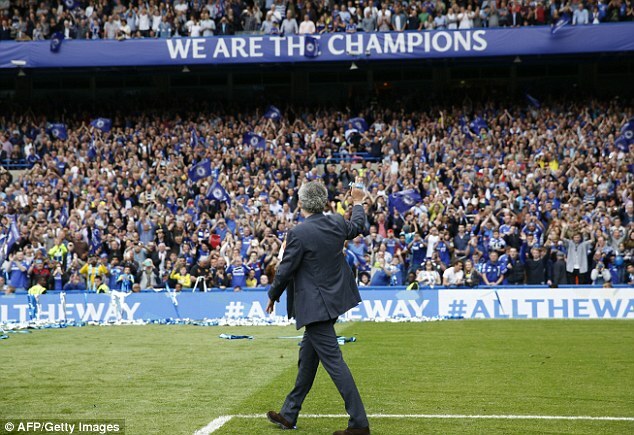 If there is one person who knows how to beat Chelsea at the Bridge it's Mourinho. i think this will be a draw. Chelsea fans and players desperate not to lose against jose. Jose desperate not to lose against them. They will play the 3-5-2/3-4-3 with willian and marcus alonso on wings and hazard and moses free. Hazard always has a good game against us. Think they might play Terry in defense as they dont worry about Ibrahimovic pace and in the air they are equally matched. This is one team where we necessarily wont have a height advantage as with matic, Terry,Luiz,Costa that threat will be nuetralized. Interesting to see how jose plays this one. Henrikh wont play, Rashford and Ibra will i think martial and fellaini will play too. interesting to s3e if its blond or shaw at lb. Chelsea will have 6 players in midfield sometimes, that is what has put them back in form and i wanna see jose combat that. My guess is that Mourinho plays the same lineup as against Liverpool except perhaps with Lingard instead of Young. Martial hasn't started a league match since August and played 90 minutes today in a blowout. If Mourinho intended to start him again three days later against Chelsea, he likely would have subbed him off instead of Lingard. I also think there is little chance of Mourinho going into this kind of big away match and picking Rashford/Martial - two young offensive-minded players - as his wingers. He is much more likely to pick one offensive-minded winger and another winger that offers more workrate and defensive contribution and can be trusted to faithfully execute the tactical plan. As long as Ibra is the 9, Rashford and Martial will be competing against each other for playing time in big games. Has he ever played against Chelsea?? The last time we beat Chelsea was 31st Oct 2012, 10 matches ago, all competitions combined. A win is well overdue. Only 1 league win in last 14 matches at Bridge as well . Since beating them 3-0 towards end of 2001-02 season, we have only won once there in league, in 2012-13 season, helped by 2 red cards for Chelsea. I wonder what reception Jose will get. I guess a good one? I can see some goals from Rashford... will be tricky but we will win. I really hope this is a win for us. After the meh performances in the league and the media behind our backs, a win at the bridge would be a signal of intent from us and will set a marker for the rest of the season. Even better if one of our new signings shine while we do it. Personally, I am not too upbeat and feel that the squads at this moment are evenly matched (even though we have more talent at our disposal). This would again become a match dominated by tactics and who blinks first. To be honest, a sucker punch win against Chelsea would also do at this moment. I don't know how but we need a win here. Haven't seen Chelsea too much this season, but it seems like they've been playing 3-4-3 recently with a role that frees up Hazard. I'd keep the same team as against Liverpool but with Lingard starting instead of Young and Rashford on the left, as he seems pretty meh on the right. Yep. When manager at Inter (they won 1 nil.). Tough away game once again. Unlike Liverpool, Chelsea will have 3 terrific player upfront. Hazard was always phenomenal against us, so I expect us to be tested again defensively. Their 3 or 5 at the back (+ 2 midfielders) can also be difficult for us to cope with. Last time we played against a 3-4-3 we've been rubbish and that was Watford, so I've a lot of doubt for this game. Usually we have to play fast players between the two centrals so just hope that the line up will be okay. Other thing, they have 5 tall players, so I guess Mou will also go for height here (Felli). I think this but maybe Lingard starting over Rashford. Would like to see a more attacking line up but expect a similar game to the pool game. Hopefully we can grab a winner this time. If rules allowed I expect Jose would play a second goalkeeper instead of Zlatan. WUM, no way is Jose playing that. Again. Think its Lingard and Rashford on the flanks against the 3-5-2 Chelsea this week. Can imagine both their fullbacks being pegged back from Lingard's movement and Rashford's pace. We just really need to control Hazard, I think Bailly should have Costa in his pocket. We showed in the first 25 minutes of the last game we can go toe to toe against the press and come out on top, but then I don't why we retreated back after that and were happy to let them have the ball. I guess we are in the "process" and will gradually make progress? Expect us to play on the back foot again for majority of the game. Hopefully, we'll nick it this time. We showed in the first 25 minutes of the last game we can go toe to toe against the press and come out on top, but then I don't why we retreated back after that and were happy to let them have the ball. I guess we are in the process and will gradually make progress? I really don't think Chelsea's attack is as fluid as Liverpool and as such think its overkill to go for 2 holding players when its just Costa up front in a 3-5-2. I reckon we'll see Mata in this, especially after his performance last night.